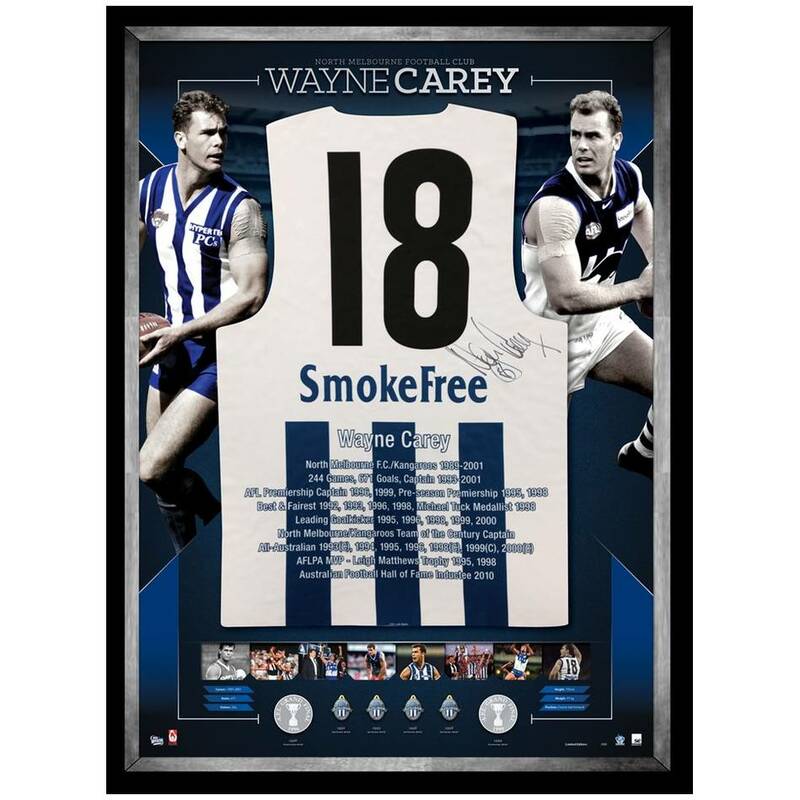 Wayne ‘The King’ Carey firmly established his reputation as one of the legends of the modern era. You could even go further – one of the top ten greatest players of all time. No player struck more fear in the hearts of opposition than Carey, with his unmatched ability to pluck contested marks, and laser accurate kicking – both at goal and to his teammates.